Your favourite bears show you that taking care of your teeth doesn’t have to be scary. Brother and Sister Bear are visiting the dentist. What will happen? Relax! First Sister Bear watches Dr Bearson fill Brother Bear’s small cavity. There – much better! Then it’s her turn in the chair, and she realises there’s no need to be scared… Learn about your teeth and soothe any worries in this bright and cheerful story. 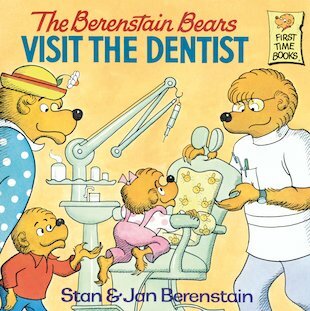 Explore all the things you’ll see at the dentist in a book that’s perfect for sharing.